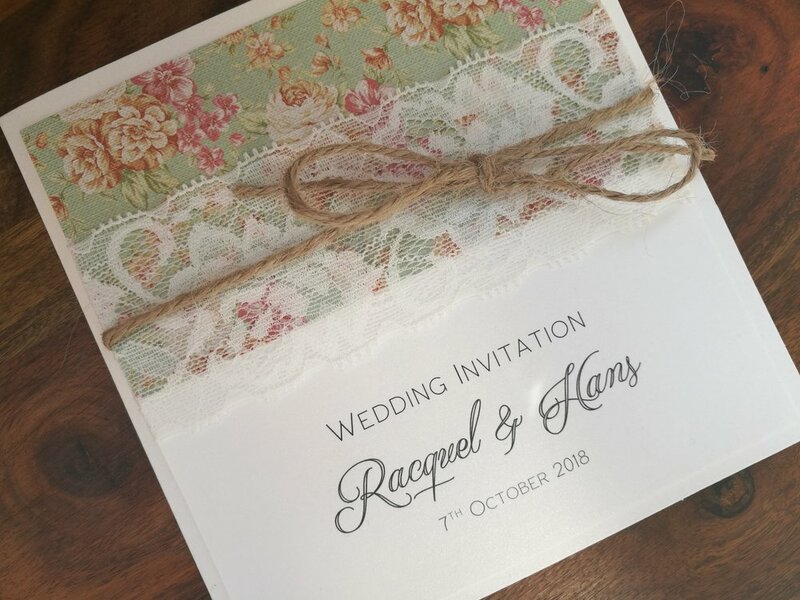 Such a pretty rustic wedding invitation, with a beautiful floral paper, finished with a floral lace and burlap string wrapped around into a bow. The paper can be changed to match your colour theme, as can the burlap string. So many ribbon colours to choose from.